This is the second – and slightly edited – part of an article I had published in Food & Wine Journal in September 2013. Please see previous post to read the story from the beginning. In the late 20th century, Sóller’s fortunes began to improve – thanks to Franz Kraus, who had moved to Sóller from his native Germany. In 1994 Kraus founded Sa Fàbrica de Gelats – which produces high-quality artisan ice creams and sorbets, using local milk, cream and fruit (and no artificial colours or flavours). Over the course of a year, they make around 120 varieties, of which some 20-35 (depending on the season) are citric-flavoured and made with freshly squeezed juice from the Sóller Valley’s own bounty. The company employs 22 people and, in season, they produce up to 6,000 litres of ice cream/sorbets a day. Come to Sóller and you have to put your ice cream head on and try as many flavours as you can manage. Their natural orange ice cream – something not often found – is particularly good. Kraus has more than 300 citrus trees on his own property and, understanding the challenges faced by a farmer trying to sell his harvest and calculate his potential earnings, decided to take action. In 1996 – his ice cream business established – Kraus started Fet a Sóller (Mallorcan for Made in Sóller), as a means of marketing and selling the organic citrus fruit harvested in the valley. Fet a Sóller www.fetasoller.com now directly employs 25 local people, with more than a hundred farmers and producers indirectly ‘employed’. The citrus farmer benefits from year-round fixed prices, so he knows what he can earn: “And that’s important,” says Kraus. “His speciality is growing, not selling. When a farmer earns money from his citrus trees he’ll grow more.” The harvest is around 500,000 kilos of fruit a year. Fet a Sóller launched its online store in 2003 and you can buy their products in some 17 European countries, including England, Germany, Holland and France. 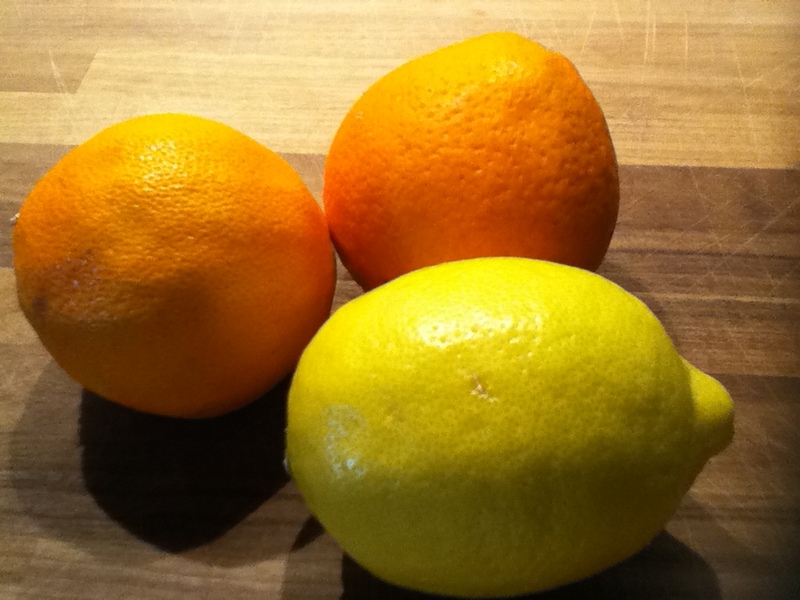 The range includes more than just unwaxed organic oranges, lemons, grapefruit and tangerines. The fruit is used by local artisan manufacturers of gourmet products such as marmalades, chutneys and flavoured vinegars – some of them Fet a Sóller-branded. Other products include high-quality olive oils, charcuterie, flavoured flor de sal, and the orange liqueur Angel d’Or, invented by local orange farmer Miquel Capó. Fet a Sóller works closely with local producers, such as Estel Nou – a not-for-profit organisation employing people with disabilities, which manufactures jams and preserves under the Fet a Sóller brand. “It provides disabled people here with work and an income – they are treated like able-bodied people,” Kraus explains. There are some 15 different types of oranges grown in the Sóller valley, each with its own characteristics. They include Navelina, Navel, Valencia and Canoneta (the latter only found in this area). “Another is Peret, harvested in summer,” says Kraus. “You can put it in your house and if there’s no humidity you may be able to keep it for 3-4 months.” Because of the different types, there are oranges to be harvested from November through to July. The oranges are organic and unwaxed; because they’re not treated with fungicide they have a shorter shelf-life (3-6 weeks) than a supermarket orange which, Kraus suggests, “could already be up to three months old.” Fet a Sóller has become the supplier of natural vitamin C to northern Europe: you can order a 10kg box of Sóller oranges (choosing from the types available at the time) and have them delivered to your home – whether it’s in Paris or Peterborough, Copenhagen or Cologne – within five days. 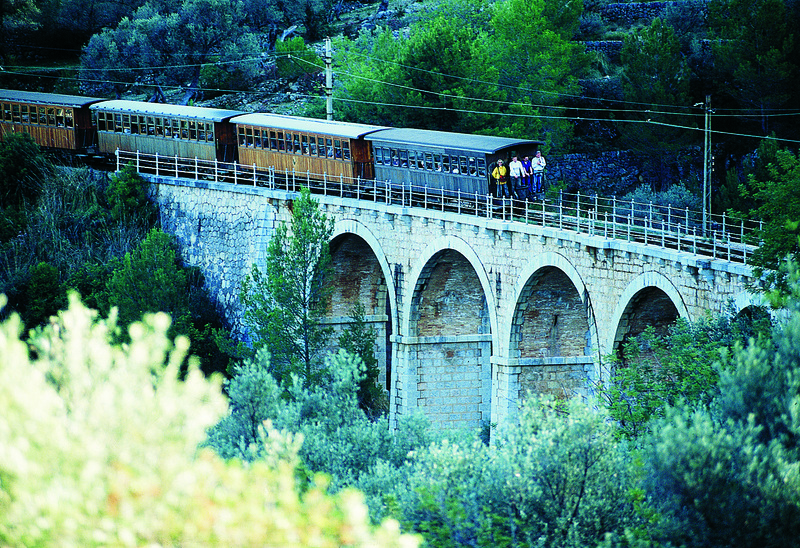 The Sóller Valley is again thriving, with tourism also playing its part. Since 1997, motorists have been able to reach the town through the three-kilometre toll tunnel, as an alternative to the somewhat unnerving now-asphalted snaking mountain pass. The lovingly maintained old wooden train that once carried oranges from Sóller to Palma now carries camera-toting day-trippers. ‘Red Lightning’ may not live up to its name in colour or speed (the 27km journey takes an hour), but it offers a taste of nostalgia and some spectacular mountain scenery on its journey to the heart of the ‘Valley of Oranges’. ‘Red Lightning’ is now one of Mallorca’s best loved tourist attractions. Copyright FOMENTO DEL TURISMO DE MALLORCA. Photo by Eduard Miralles.